As you will have heard us mention, on many occasions before and today we are going to say it again, Mobile is the rapidly growing medium of choice for those accessing the internet. With more and more people owning smartphones, internet access is almost always available at the touch of a button. This is a trend your business needs to take notice of and you should always look to accommodate mobile user’s needs. People using the internet on their phones are searching in a different context to those searching from their laptop. For example if a person is searching for a garage from their laptop then they will likely be at home browsing solutions to some car trouble they are having and are in no real panic. If however a person is searching for a garage from their phone, there is a good chance that they are in need of assistance and are looking to contact this garage immediately. This user will not want to navigate their way through your site to find a number, and then have to try remembering it before they can enter it into their phone. 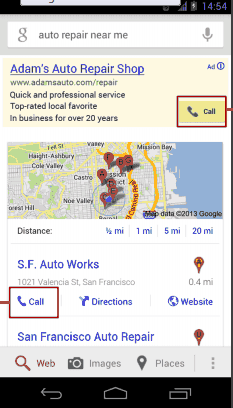 On this garage’s mobile site, it should be made as easy as possible for the user by offering essential information such as location and the option to click to dial. Little things like this all add up to enhance visitors to your page which in turn strengthens their relationship with your brand. According to new Google/Ipsos research, having a simple ‘click to call’ button on your site increases click through rates and brand perception. Of the 3,000 people surveyed, 70% of them used the click to call button. Every business needs to acknowledge mobile’s influence on the digital market and how there is an entire target market of mobile users that need to be approached differently to your traditional laptop and computer market. If you have any questions on mobile marketing or mobile web design, please contact us at Webresults. When it comes to a good mobile website, you must remember that the visitor is using a much smaller screen to that of a desktop. Your page should be clearly laid out with large aoncise headings. Have key information only, on your pages, as too much information can become distracting and frustrating for a user of a mobile device. Prioritise the content that users need most, and clearly present the key information for each topic. 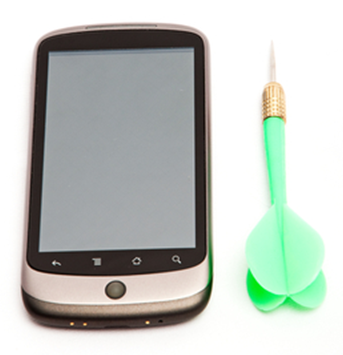 Visitors to your mobile website do not want to have to “pinch and zoom” their way through the site. The best way to avoid this is having large and clear information with a scroll down function. As previously stated, keep the content simple and concise, the visitor doesn’t want to read copious amounts of information when on their mobile device. Less information will make the scrolling function neater and easier to use and also will focus you on keeping to the point when writing your content. Keep the writing large and easy to read, a 14 point font size would be ideal. Avoid complicated, fancy writing such as ALGERIAN OR Bush Script M7. Stick to fonts such as Helvetica, Myriad Pro & Mayberry Pro. Use short and snappy content to keep your visitor engaged. Create memorable phrases that your audience can easily tweet out and repost. Include some action buttons such as, “BUY NOW” “REGISTER” “ENTER” etc. In a visually tight space such as mobile, a well selected image can quickly sum up your message. Try to blend your image in seamlessly with the both the background and text. Avoid using harsh colours such as Neon Yellow which can make the screen difficult to look at. Always remember to size your photos for web and compress them so your viewers will enjoy faster image loading time on the site. There are over 500 different screen sizes for mobiles, making it a challenge to have a truly mobile optimised ubiquitous landing page. It’s recommended to create your mobile site in HTML 5 because it solves many problems associated with flash on mobile. If you are a retail outlet such as a cafe or shop, make it easy for your customers to find your location. Include universal symbols for links such as email and Facebook so that visitors can quickly interact with your site. Adding a mobile strategy to your overall marketing campaign can help you connect with your customers effectively and at times most relevant for them. Mobile marketing is a fast growing environment, and you get on board now and don’t miss out on its fantastic opportunities. If you have any questions regarding mobile marketing, and what it can do for your business, please contact us at Webresults. Mobile is growing faster than any other technology before it. Smartphones are quickly developing with 47% Irish people currently owning one (Mediascope, 2013). Smartphones are the perfect medium for those wanting to access the web while on the go enabling people to always stay connected. Approximately 1.2 million Irish people go online using a mobile device (Mediascope 2013). This creates an ideal opportunity for marketers to attract those browsing the web on their phones through mobile marketing. This means companies must make their websites mobile responsive so these potential customers can access your site through their phones. Those browsing on their phone do not want to have to pinch and grab their way through a site. On clicking through to a site on their mobile, they should be brought to a site which is fitted to suit the size of their screen. Once set up correctly this will be done automatically. Google have also been quick to consider mobile devices when delivering search results. If Google is aware that a search is being conducted on a mobile device, then it filters search results to cater for those on the go. This is particularly effective for those with paid Google Adwords campaigns. Tablets such as Ipads are also constantly growing in use with 12% of Irish people currently going online on a tablet device (Mediascope 2013). These devices are known to be used more frequently at home, particularly in the evening time for browsing the web. This rise in mobile should also be considered when using email as a component of your marketing strategy. In research done by Litmus, they found that email opens on smartphones and tablets have increased 80% over the last six months. People who are opening emails on their phone are unlikely to download any image attachments which accompany emails. This means that your email campaign should aim to get its information across textually without relying on fancy imagery, as to accommodate your mobile audience. When using mobile marketing as a part of your marketing strategy, you can now reach a wider market of consumers who are constantly on the go. This is a very specific type of consumer, but also a vital type. Mobile marketing is growing fast however a majority of sites are unresponsive to mobile; it would therefore be refreshing for a mobile consumer to come across your page which caters to their needs. A small improvement such as this can reflect well on your business. Mobile marketing is unique in that consumers can instantly react to traditional advertising campaigns. If a person where to see a poster advert at a bus stop, by placing a QR code on that poster, then the customer can scan it and be taken directly to a specific area of your site. 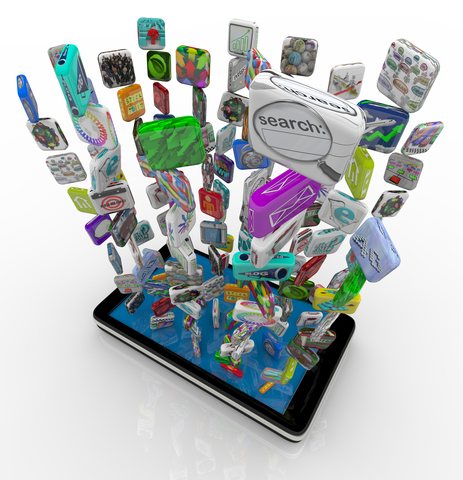 Do you need mobile marketing services? Find out more about the services available in mobile marketing Ireland and how your company can benefit from them! To read the full article, visit What is Mobile Marketing And Why Use A Mobile Marketing Company. Webresults.ie offers a comprehensive mobile marketing service to Ireland and further afield. For more information on mobile marketing and web marketing, contact us. For more information on mobile marketing Ireland, click here. What’s the best QR Code strategy? The key to an effective QR code campaign is to reward your mobile customer for scanning the code. Don’t just link it blindly to your home page. Instead, be sure to create a mobile optimized landing page with a call to action, a discount code, a contest, a reason to take further action. The principles of mobile marketing are the same as traditional marketing, the consumer wants to know “What’s in it for me?” So be sure to reward him or her for taking time to want to know more about your company, product or service. QR codes (or Quick Response Codes) first gained popularity in Japan where Toyota subsidiary Denso Wave created them for tracking purposes in vehicle manufacturing. The two dimensional codes proved extremely useful, since they can hold between 4K – 7K worth of characters. The codes can be read by any number of QR scanning applications, available on your smart phone’s app store, usually free of charge. Popular QR generators, like JumpScan.com, provide an easy, web based platform for creating pre-optimized , custom web pages. Once you’ve created your code, you can print it out on a variety of media, from posters and table tents, to print ads and yellow page listings. In addition, some QR generators provide analytics to see how many times the codes were scanned. It is simple to use, simply by scanning the QR code with a web enabled smart phone, the user can be directed to a mobile web page — one that displays more content about the product or service. How are QR codes being used by businesses? In the past few thousand years, the way we pay has changed just three times: from coins, to paper money, to plastic cards. Coming soon is a new way to pay…Google Wallet. Google Wallet will store all of your existing plastic cards (debit and credit) on your phone. You are currently browsing the archives for the Mobile Application category.